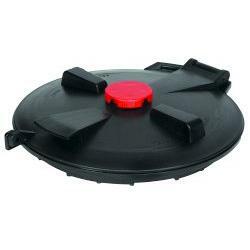 The Poly-Mart 16 Inch Lockable Hinged Tank Lid, is used to cap off the top of your storage tank when it is not in use. Ships FREE with purchase of any Poly-Mart tank!! These lids are available as an upgrade on Poly-Mart vertical tanks 200 gallon or larger. NOTE: THIS ITEM IS ONLY AVAILABLE WHEN YOU ALSO PURCHASE A TANK. WE WILL NOT SHIP THESE WITHOUT THE PURCHASE OF A TANK. SINGLE UNITS ARE ONLY ALLOWED IF YOU ARE AVAILABLE TO PICKUP DIRECTLY FROM POLY-MART. Poly-Mart carries a 1-year warranty on all accessories and specifically excludes the cost of labor for installation and/or removal of personal property. 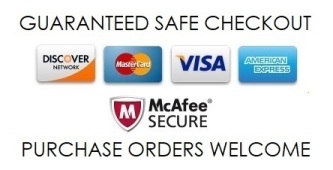 We are also not liable for personal/property damages. Poly-Mart is not liable for accessory failure if damaged by the customer.